The Trump administration is halting a year-old effort to seek better ways to diagnose truckers and railroad workers who have sleep apnea, a health condition linked to deadly accidents. What is sleep apnea? Sleep apnea is a breathing-related sleep disorder. A person suffering sleep apnea will have interruptions in his or her breathing during sleep. How can sleep apnea affect driving? Truckers must be very alert while driving on our highways. By impacting sleep, the disorder can greatly affect daytime alertness, performance and fatigue. Our firm has seen the tragic results of these problems in past cases. Truck driver health is a real and significant safety issue on our highways. According to National Institute of Health (NIH) statistics, the rate of obesity among truck drivers is twice the national rate. The rate of diabetes is 50 percent higher than the national rate. These dangerous health conditions can also contribute to sleep apnea problems. 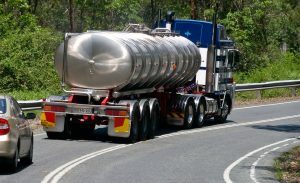 In a 2016 blog post titled Truck Driver Fatigue — A Deadly Hazard, I discussed a trucker survey that revealed startling information about driver alertness. According to the survey, half of all truckers fell asleep while driving in a single year. Trucker fatigue is common on our highways. And, it presents a substantial danger of needless injury and death to other motorists. In commercial truck accident cases at our firm, we often discover the truck driver suffered significant health problems affecting his concentration. In one of our recent cases, the fatigued truck driver did not see our client in time to avoid an easily preventable collision. Our investigation revealed the truck driver suffered terrible sleep apnea problems as well as a history of several prior accidents due to concentration issues. That driver had previously refused recommended sleep apnea treatment which could have dramatically improved his health and driver safety. In March 2016, The Federal Motor Carrier Safety Administration (FMCSA) and Federal Railroad Administration (FRA) requested comments in order to draft an appropriate rule related to sleep apnea. The goal — a rule to help evaluate and treat workers at risk for dangerous sleep apnea — would have improved the safety and health of everyone. A sleep apnea rule could have easily added better screening and treatment options into the existing medical certification process. The U.S. National Transportation Safety Board has been calling for better screening of truck drivers and railroad engineers since 2009. The agency is “disappointed” that the agencies withdrew the “much-needed” development of new rules, spokesman Christopher O’Neil said in an email. Safety advocates should be disappointed that the current Administration has simply decided to abandon the process of discussing and evaluating safety issues. Just a few weeks ago, the Administration halted a long-awaited rule putting speed limiting devices into commercial trucks. The speed-limiting rule had wide support plus a clear track record in other countries of tremendous success in accident reduction. We should all be disappointed when our government chooses to abandon important safety discussions. Reasonable rules related to commercial truck driver health and the speed of large vehicles on our highways are important safety issues. The Blackwell Law Firm is committed to helping the victims of commercial truck accidents and car accidents. We also believe in advocating for highway safety. That’s why we frequently discuss issues related to commercial truck safety, distracted driving and impaired driving on this blog.